One of my favorite summer evening activities in Athens is the outdoor cinema. Most Americans are familiar with our version the drive-in theater – but in Athens you don’t need a car to enjoy the silver screen under the light of the silver moon. An evening at the outdoor movies isn’t merely about what’s showing on the screen. 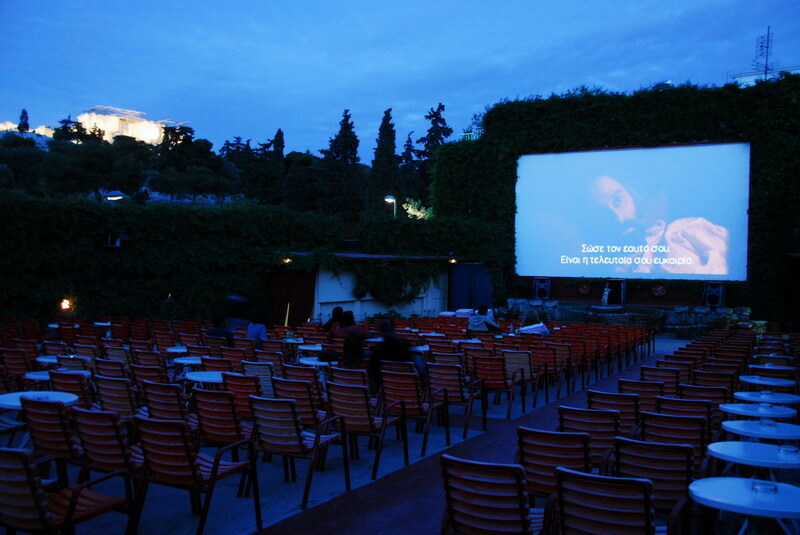 For the Greeks, going to the outdoor movies in summer is something of a cultural tradition. Once upon a time every neighborhood, every village, had its own outdoor cinema. Sometimes they were simply chairs set up in the main plateia or square, sometimes in parks, and some were elaborate venues that operated as part of a year round indoor theater. Today there are still some 60 outdoor cinemas in Athens, and a trip to one is still a family affair in my downtown Athens neighhorhood of Pagrati. Mom, dad, the kids, grandma and grandpa and maybe an aunt or uncle or two, some cousins … you get the picture. Some families pack a picnic, snacks or even mezedes and head to a park or square where outdoor cinemas screen mostly American films in English with subtitles. Occasionaly you’ll find a theater with an early screening, usually a cartoon or child focused film. These will often be dubbed, so prepare yourself for missing the whole point of the film. Your kids, of course, won’t miss a thing – cartoons speak a universal language. 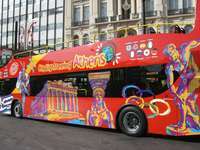 For a complete list of outdoor cinemas and traditional year round movie theaters in Athens and the surrounding suburbs, visit the Athens Info Guide, http://www.athensinfoguide.com/nlcinemas.htm. My friends and I (all british x pats) All live in Cyprus and would do anything to come to Greece & see Sakis Rouvas sing live in a bazooki style club (or any club really). I can see that he has been doing a bit in Starz but can you tell me if he is still doing it or his schedule for the next 2 months. I cant seem to find Starz on the map & need to know how far from the centre of Athens that is or where to book a hotel etc. Any help you can give will be GREATLY APPRECIATED.